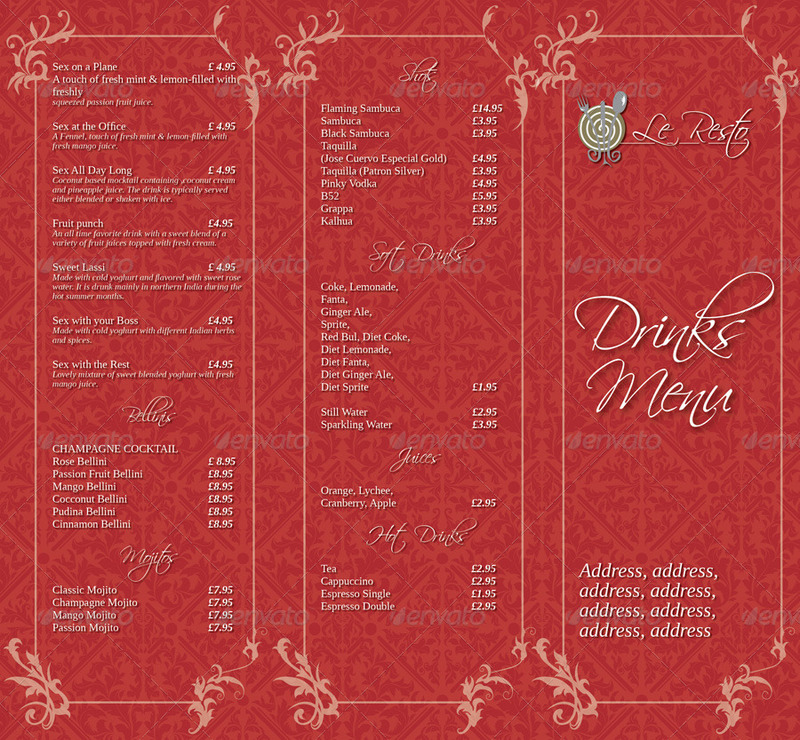 This is a pack of two trifold menus designed in an elegant fashion. One menu is for food while the other is for drinks. The files have different sizes but share the same concept. 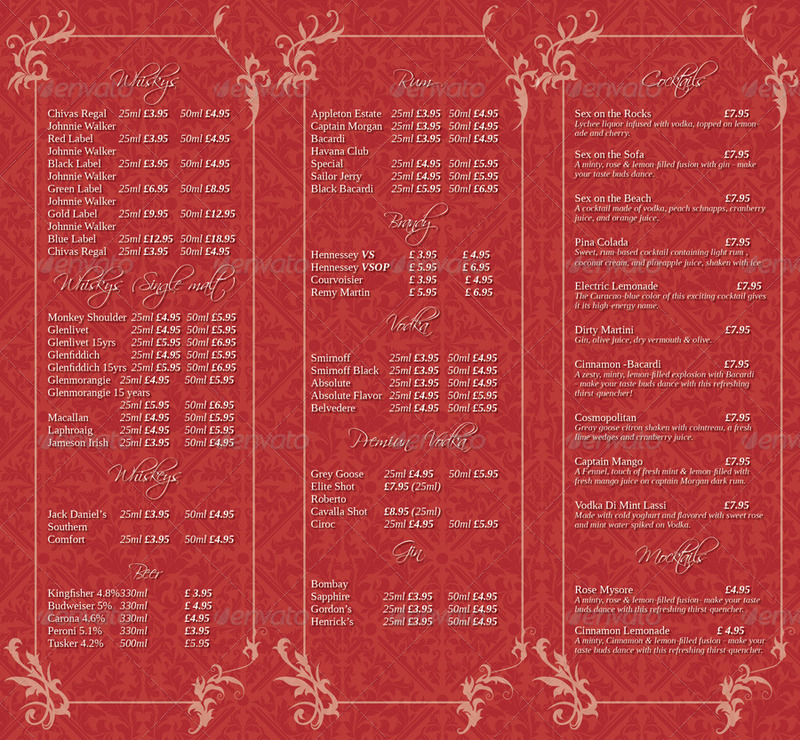 The sizes are 540×250 mm (21.2×9.8 inches) unfolded size for the Food Menu and 270×250mm (10.6×9.8 inches) unfolded size for the Drinks Menu. There are three file formats within the archive: InDesign (CS6 and backwards down to CS3), Illustrator and Photoshop. Background images and the ornament graphics are provided.